Auto Accident Lawyer Denver CO - The Law Office Of Richard J. Banta, P.C. The Law Office of Richard J. Banta P.C. is all too familiar with the challenges car accident victims face. Managing the at-fault driver’s insurance company can be one such challenge. Injuries can be debilitating, making it difficult to even consider facing stress and often uncomfortable negotiations. At The Law Office of Richard J. Banta P.C., we make it our business to support our clients when it comes to insurance companies. The Law Office of Richard J. Banta P.C. will carefully review your case by reviewing the circumstances surrounding the crash and the injuries you are facing as a result. Your auto accident lawyer in Denver CO will determine what your bottom lines are so that you are able to walk away from negotiations satisfied. An insurance company may ask for you to make a recorded statement. Prior to having any conversations with the insurance company, you should first consult with your Denver CO auto accident lawyer. In many cases, an attorney will do the talking for you. This is in efforts to safeguard your potential settlement offer. Recorded settlements are utilized by the insurance companies in efforts to reduce the settlement you may be entitled to. If you are required to give a statement, your attorney can prepare you and protect you during this process so that you do not say anything that could have an impact on the settlement you may be eligible for. Pursuing a claim with an insurance company almost always involves some level of negotiations. Each auto accident lawyer from The Law Office of Richard J. Banta P.C. is experienced in negotiating accident cases with insurance companies. In many cases, the first offer from the insurance company may be a low one. We will communicate with them to uncover reasons behind their offer and work to maximize your settlement through the negotiation process. Attorneys like The Law Office of Richard J. Banta P.C. are savvy in managing insurance companies. Although it can be tempting to speak with the insurance company yourself, this is not an ideal situation to put yourself in. Although the conversation you have may seem fairly straightforward, insurance companies are looking to gather information that could result in a lower settlement offer. In efforts to be helpful by answering their questions, you could inadvertently say something that impacts their valuation of your claim. For accident victims, the road ahead can be a long and painful one. The Law Office of Richard J. Banta P.C. can stand by you when facing insurance companies. We will make every effort to alleviate as much stress as possible. Dealing with an insurance company can be especially challenging. With the help of an auto accident lawyer Denver CO clients recommend, we can manage the insurance company and the details regarding your accident claim so that you are able to focus on your recovery. What if I was partially at fault for my injury accident? It’s expected that an injury victim might wonder how much their culpability will affect their claim for an accident primarily caused by another party. If the victim was fatally injured, their surviving family member may have the same question for a personal injury lawyer if the deceased was partially at fault for what happened. Very often an injury accident is more complicated than it seems on the surface, and for this reason it’s important to turn to a seasoned personal injury lawyer for guidance. At the Law Office of Richard J. Banta, P.C. we have assisted members of the Denver community for many years. In the interim, we have handled thousands of cases. 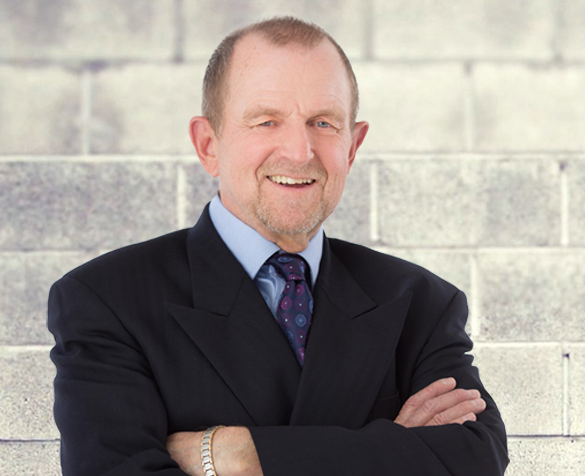 As a result, our personal injury lawyer is well aware that things are not always what they seem. This is particularly true with serious accidents as the resulting chaos, pain, fear, and other emotions can interfere with a victim’s perception. In fact, they may not have had the capacity to clearly understand how the accident happened because their eyes were closed, they were in a great deal of pain, and other factors played into the events. Laws vary from state to state. In some areas of the country, the amount of compensation to which a victim is entitled is in direct proportion to the percentage of their fault for the accident. In other words, if they were equally responsible as the other party for causing the accident (50% liability) then they can only collect half of their damage total from the other party. This is known as comparative fault. There are other factors that can come into play as well. When our personal injury lawyer takes a case, one of the first things on the task list is to determine exactly how the accident happened. With an objective eye and careful review of the evidence, it’s not unusual to discover that an injured victim was not responsible for the accident. At all. To their surprise, they may be eligible to receive full compensation for their damages. This is another reason why it’s so important to turn to a seasoned personal injury lawyer for legal guidance. We don’t charge for the first consultation, so take the opportunity to discuss your case with our personal injury lawyer as the feedback may be helpful to you. If you were involved in an accident and suffered a serious injury, contact our Denver office. Our personal injury lawyer can review your case at no charge. As an auto accident lawyer Denver, Colorado residents choose for legal assistance can tell you, bruises, broken bones, lacerations, and even concussions are common results from car accidents. 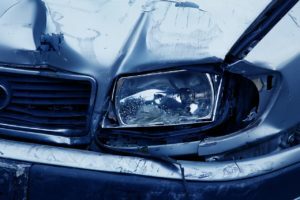 However, an auto accident lawyer in Denver, CO understands that there is another type of injury that does not always get its due: the emotional trauma a victim sustains from a car collision. Physical injuries can be much easier to identify and treat than severe emotions, mental difficulties, and debilitating fear. What follows are answers to some of the most common questions victims ask an auto accident lawyer Denver, CO victims trust. What are the Symptoms of Emotional Trauma? How Long Does Emotional Trauma Last? The duration is different for every person. Trauma symptoms usually last anywhere from a few days to months, and gradually fade as time goes on. Once you start to get better, you may feel troubled once in a while due to being exposed to reminders associated with the traumatic accident. It may be a good idea to seek the help of a therapist in addition to a Denver auto accident lawyer. A therapist’s role is to be an unbiased, non-judgemental person who can help you get through difficult emotions. It can be beneficial for those who are suffering from intense fears, and symptoms have not gotten better over time. What Factors Contribute to Emotional Trauma After an Accident? Are There Ways to Manage Emotional Trauma Every Day? In addition to therapy, practicing taking care of yourself can help you move forward from the accident. By tending to your body, mind, and soul through the following techniques, you are strengthening your foundation to tackle the bigger challenges associated with emotional trauma. You may feel tempted to isolate yourself so you do not have to talk about the traumatic event with friends or family. But, by connecting with others you may feel more engaged, supported, and accepted by your loved ones. Additionally, there may be a support group in your area for survivors of trauma. Sometimes, hearing another person’s story can inspire you to invest energy into your own recovery, in addition to learning new coping strategies. There are many injuries that a person can sustain when they are in an auto accident, such as fractured bones, road rash, bruises, and more. These physical injuries are visible ones, but there are other types of injuries that are not so visible – emotional injuries. One type of emotional injury that the Denver, CO auto accident lawyer from The Law Office of Richard J. Banta P.C. often see is post-traumatic stress disorder (PTSD). Not only are emotional injuries like PTSD difficult to diagnose, but they are also injuries that many insurance companies will attempt to deny a claim for. The insurance company will either claim that the victim was already suffering from the condition or they may even accuse the victim of faking their condition. If they do recognize that the accident caused the victim to develop PTSD, then they may try to put the blame for the accident onto the victim in order to have a reason for denying the claim. This is just one of the many reasons why victims of auto accidents should contact a skilled auto accident lawyer serving Denver, CO for assistance and making sure their rights are protected. Having recurring flashbacks about the crash. This can happen even more frequently when the victim is traveling in a vehicle. Suffering from emotional outbursts. These can sometimes turn violent. As mentioned above, it is very likely the insurance company will try to deny the victim’s claim of PTSD. They may try to claim the victim had struggled with depression or anxiety before the crash. They may even use any prior therapy or psychological treatments the victim may have had in the past. In order to prove that the victim’s PTSD is a result of the auto accident experience they had, the victim should consult with a mental health professional to verify the diagnosis of PTSD and to begin the recommended treatment plan. It will also likely be necessary for the victim’s auto accident lawyer for Denver, CO to have a mental health professional testify during the lawsuit trial. This expert will be able to confirm the victim’s condition and its connection to the auto crash, as well as discuss the treatment the victim should have and what the cost of that treatment will be. The mental health professional can also testify to the ways the accident triggered the PTSD condition, even if the victim did suffer from anxiety or depression prior to the crash. If you or a loved one has been involved in an auto crash and are dealing with PTSD, as well as other injuries, contact an auto accident lawyer Denver, CO trusts from The Law Office of Richard J. Banta P.C. today to find out how we can help. To learn how we may be able to help you recover your damages after a collision, call The Law Office of Richard J. Banta P.C. to speak with a respected auto accident lawyer Denver, CO offers. A person who became the victim in a car accident may end up suffering the consequences of another’s poor behavior on the road. As the victim, you may have to pay out of your very own pocket for medical bills and other losses related to the incident. An auto accident lawyer in Denver CO from The Law Office of Richard J. Banta P.C. believes that this isn’t fair, and you deserve compensation for what happened. Our law firm is dedicated to offering legal strategies and insight to those in this community impacted by tragic events. If you or someone you care about has endured loss because of a vehicle collision, please do not hesitate to reach out to us for questions and a consultation. Victims of car accidents who are not knowledgeable in legalities may unknowingly get taken advantage of. An insurance adjuster may call you for a statement seeming empathetic when in reality he or she is trying to get the claim minimized or denied. It can add salt to the wound if you find yourself tricked because you didn’t know any better. A Denver CO auto accident lawyer from The Law Office of Richard J. Banta P.C. can help protect you against representatives related to the car accident, who do not have your best of intentions in mind. It can be challenging for the average person to negotiate a settlement without assistance from a legal professional. You may be offered a settlement by an insurance company that is far too low. Sometimes, it requires intervention from a Denver CO auto accident lawyer at The Law Office of Richard J. Banta P.C. to get your settlement amount raised. If this isn’t possible, then we may recommend you prepare for a lawsuit instead. Car accidents that are serious and caused substantial damage, can be enough to ruin a person’s life. The victim in such a scenario deserves restitution in order to get back onto his or her feet. Many may say that life isn’t fair, but our legal team believes in setting things right and obtaining a sense of justice for wrongdoings. We are available to talk further about your car accident and help you prepare for taking legal action against the driver at-fault. Please call us to book your free consult with an auto accident lawyer Denver CO clients recommend from The Law Office of Richard J. Banta P.C. Act quickly, before the situation becomes even more complicated.